Integrity is an important trait for children to develop—especially as they grow, learn, and have more opportunities to make choices for themselves. With this encouraging book, support children in knowing right from wrong, making positive decisions, keeping promises, and staying true to themselves. 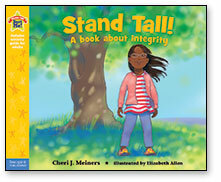 Back matter includes advice for teaching integrity at home, at school, and in child care. Imagination and motivation are key to young children’s happiness and health. 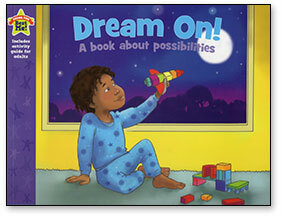 Thinking about dreams and goals can help children cope with challenges when they arise and view life through a hopeful lens. With this encouraging book, nurture children’s imaginations and help them enjoy taking responsibility for their choices and goals. 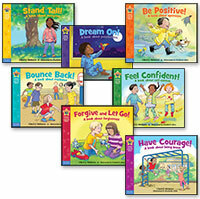 Back matter includes advice for motivating kids and teaching about goal setting at home, at school, and in child care. The Being the Best Me series is seven books to help children learn, understand, and develop attitudes and positive character traits that strengthen self-confidence and a sense of purpose.